The Nisshinbo Group aims to create a working environment that enables employees with diverse values and capabilities to maximize their potential, leading to the realization of Innovation. We have made working style reforms a key priority in fiscal 2018 and will maintain an environment in which diverse employees can work with high levels of motivation. In April 2018, we formulated and announced our action plan, Working Style Reform Action Plan based on three perspectives: rectifying long working hours, encouraging use of annual paid leave, and promoting flexible working styles. In 2015, we began conducting training targeting every level of employee in an effort to change awareness throughout the Group. The topmost priority of this training is the active promotion of women. Lecture for Executives Managers participated in lectures to learn about measures for promoting the advancement of women. Training for Managers This training, which targets all employees at the managerial level, is designed to help participants understand the fundamental significance of promoting the advancement of women, and help participants recognize and overcome their own biases. Training for Female Employees This training aims to help participants understand the fundamental significance of promoting the advancement of women, and help participants overcome their own biases, in order for them to engage in the type of work they desire. Joint Training for Managers and Female Employees Managers and their female employees participate in pairs, engaging in group discussion and meeting one on one to together create medium-to long-term career plans. In December 2014 Nisshinbo Holdings formulated and announced our Action Plan Regarding the Appointment of Female Managing Officers and Manager . Based on the framework of this action plan, each Group company formulated its own general action plan in accordance with the Act on Promotion of Women’s Participation and Advancement in the Workplace*1. These general action plans mainly set specific goals related to increasing the number of women in management positions and the ratio of female employment. Each company is actively working toward these goals. 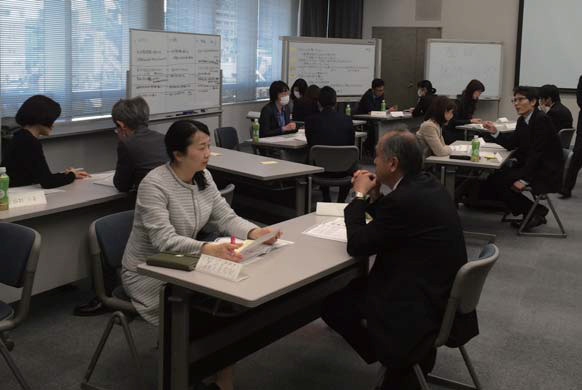 To enable its diverse human resources, including women, to work energetically and reach their maximum potential, Nisshinbo Holdings Inc. and the Group’s other 12 companies in Japan*2 formulated their own general action plan in accordance with the Act on Promotion of Women’s Participation and Advancement in the Workplace. The Company is proceeding with related activities. 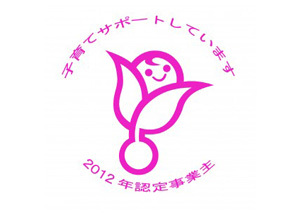 To maintain an environment in which employees can display their abilities as well as balance their work and private lives, Nisshinbo Holdings Inc. and the Group’s other twelve companies in Japan*2 are formulating their next general action plans in accordance with the Act on Advancement of Measures to Support Raising Next-Generation Children*3. Within the plan period, raise the ratio of male employees who take childcare leave or who use accumulated paid leave for the purposes of childcare to 15% or higher altogether. Additionally, ensure that at least one male employee takes this kind of leave. *1 The Act on Promotion of Women’s Participation and Advancement in the Workplace was implemented on April 1, 2016 to maintain occupational environments in which women can effectively utilize their abilities in accordance with their own career desires. *2 Nisshinbo Brake Inc., Nisshinbo Mechatronics Inc., Nisshinbo Chemical Inc., Nisshinbo Textile Inc., Japan Radio Co., Ltd., New Japan Radio Co., Ltd., Nagano Japan Radio Co., Ltd., Ueda Japan Radio Co., Ltd., JRC Tokki co., Ltd, Nanbu Plastics Co., Ltd., TOKYO SHIRTS CO., LTD. and Ricoh Electronic Devices Co., Ltd.
*3 The Act on Advancement of Measures to Support Raising Next-Generation Children was implemented on April 1, 2005 to maintain healthy environments for children who will shoulder the responsibilities of the next generation to be born and raised.